Similar to renting a car, you can rent watercraft of all varieties almost anywhere in the world. Unlike driving, there is no standard for boating skill and in many cases, boating and sailing skill is required. Chartering implies you are taking possession, for an extended period of time, someone else’s watercraft that is typically a larger boat. Usually the owner will need proof that you have had experience with the type of boat you want to charter. This differs from renting a watercraft because renting is usually applied only to small watercraft, that need little or no prior experience to operate, and will only be rented for a short period of time. Depending on rental location, you may have to complete a Safe Boating Course before you can legally take out a rented watercraft. Check with your individual state safe boating regulations for requirements before heading out to rent a boat. How much experience do you have with this type of boat? How long have you been boating/sailing? Have you ever chartered a boat in your name? 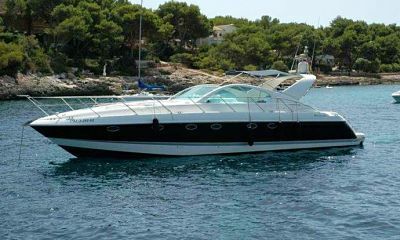 Bareboat charter means that you take the boat out yourself and the boat is bare of a captain or crew. Captained or crewed charter means that you are guests on board the boat and the Captain is in charge of operations. When the boat has a Captain and is accompanied with someone cooking and making “Boat Drinks” for you, this is referred to as a crewed charter. Most individual boat owners and charter companies will ask for your nautical resume. They want to see that you have the experience to bring their boat and your crew safely. Your nautical resume should be laid out almost exactly like a personal employment resume. This should be a chronological listing of your boating background and experience. If the owner approves your resume, then the next step is usually a walk through of the boat. During the walk through, you can ask as many questions as you like about the boat, boat systems, sailing/boating area, etc. Keep in mind that the owner/staff is listening closely to the questions you ask, don’t ask, and your general demeanor on board. At any point if the owner thinks you do not have the skills needed to operate the boat safely, he can refuse to bareboat charter the watercraft to you. If it turns out that you don’t get to take the boat out by yourself, ask if the owner or company offers captained charters. You will have to pay additional money for the captain, but the investment in training and experience will be worth it. Plus, if the captain deems you worthy to manage the watercraft, you may be able to bareboat the watercraft for your next outing.